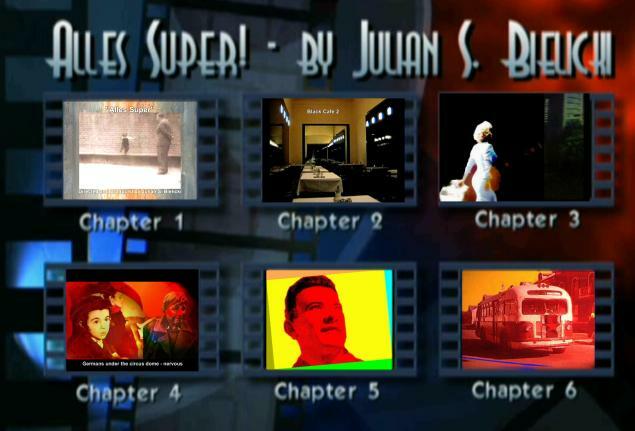 My animated film „Alles Super!“ 45min. movie tells about colors, lights and shadows, about streets and houses, about nights and days, about the morning, the day, the evening, the night, about flowers and birds, about foreigners and friends, about the jealousy and confidence, about the faith and doubts, about dreaming and thinking, about waiting and longing, about love and hate, about the woman and the man, about war and peace. Cinemas 239 East 59th St between 2nd and 3rd Ave.